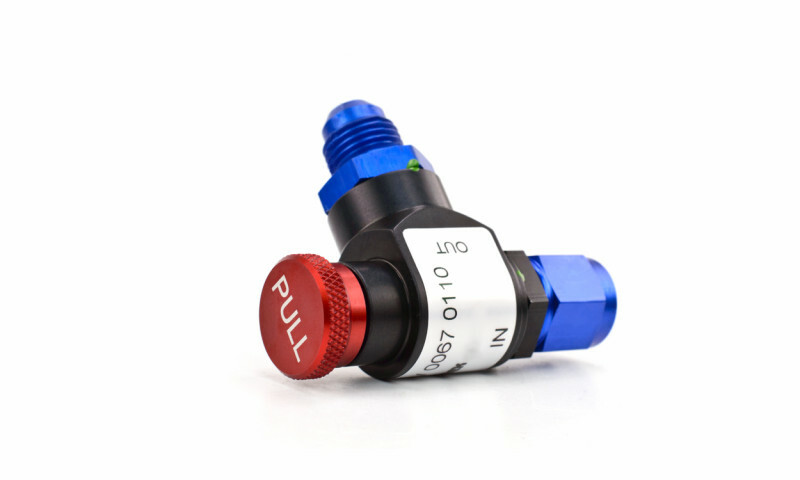 This automatic fuel shutoff valve is designed to stop the flow of fuel at pressures below 3 bar. 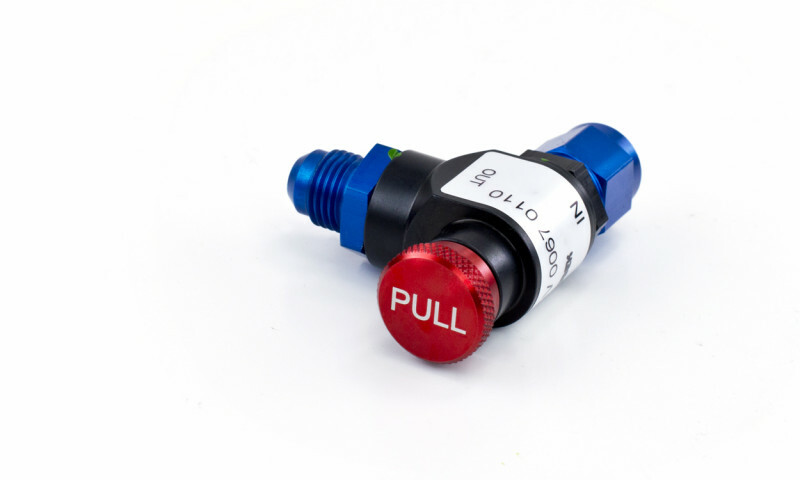 The fuel feed line is interrupted by the valve and no electrical assistance is needed. The pressure build-up is done through an internal bypass bore and can be accelerated by hand if necessary, such as when the fuel line empty. 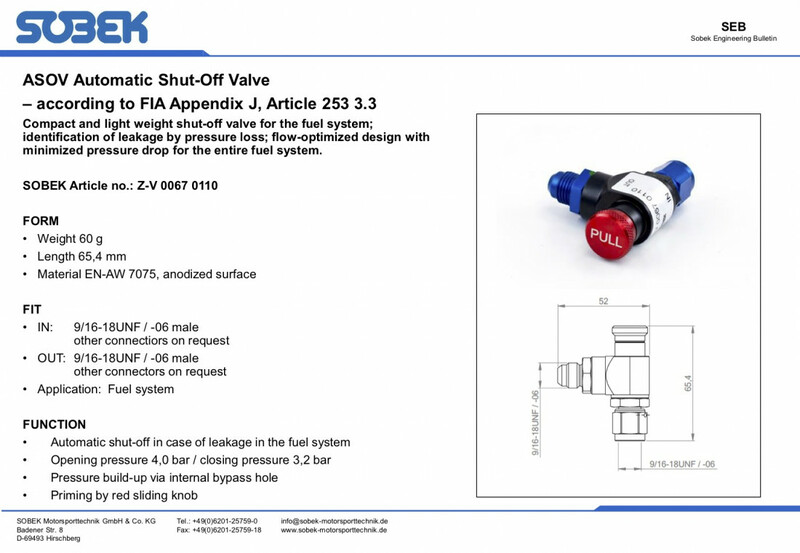 The design and construction of this valve is specifically to fulfill the regulations regarding the identification of damage in fuel lines. 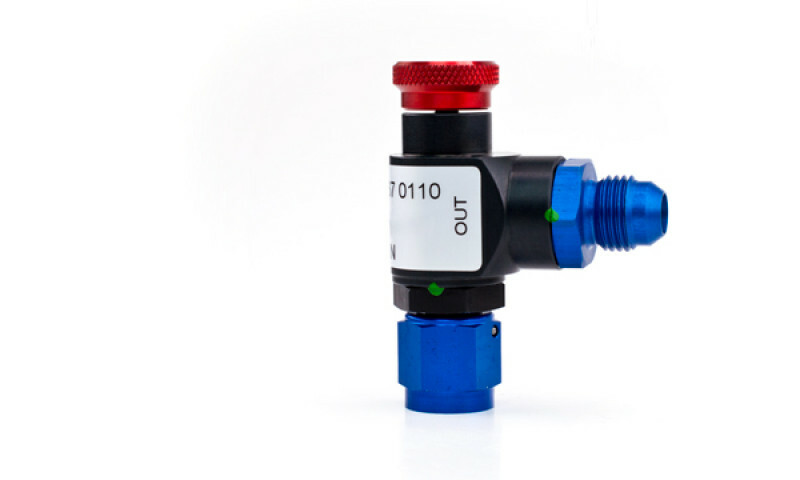 Key aspects of this design are the incorporation of a high flow rate with low pressure loss, compact and light body construction, high reliability and independence from other components such as an electrical supply.  Sobek Motorsport parts are OEM equipment on many customer race cars and are used throughout professional motorsports.